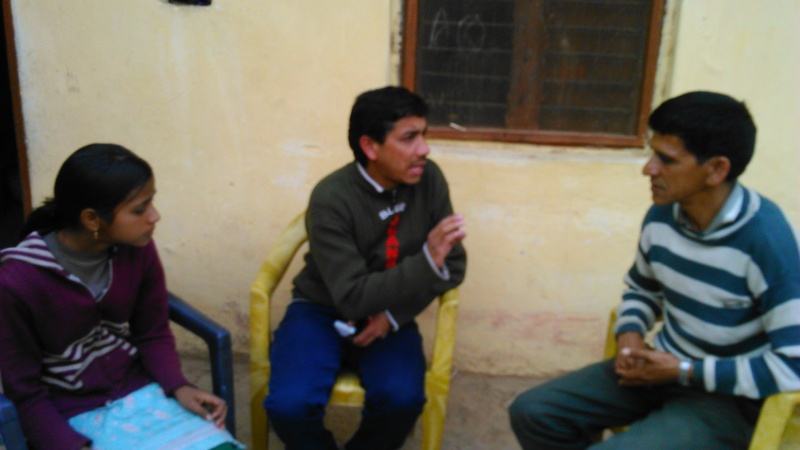 soochnaseva | Soochna Seva team helps Balveer Singh to seek a way to get financial aid for his daughter’s illness. Kukarbagi is a small village that is 10 kms away from main Chamba city and comes under the Bhatusain Panchayat. In the village almost 10 families belong to Schedule Caste category. This story is about Sangita a 13-yrs-old girl who is from one of those SC families. She performs extremely well in her studies when compared to the performance of her siblings. During a visit to this village, Soochna Seva team came across her and her family. Her father, Mr. Balveer Singh, works as a labourer and is always positive for the future of his children. During a long discussion Balveer Singh explained about Sangita’s disease and requested Soochna Seva team to help his daughter. Sangita has been suffering from a rare disease since her childhood. It is called rheumatic fever (also known as acute rheumatic fever (ARF), which is an inflammatory disease that affects the heart, joints, skin, and brain. For the past 2 years Balveer Singh has been consulting a doctor in Rishikesh hospital but he could not see any development or change in her condition. Now all his hopes are broken and all his savings are invested in the treatment of Sangita’s disease. Mr. Rajender Negi (Block Manager, Soochna Seva) visited Balveer Singh’s house after couple of weeks. He informed that Soochna Seva team can help him get financial support from Sansad Nidhi/Vidhayak Nidhi (Member of Parliament). So he phoned to one of his trusted ally who is the Member of Parliament in Delhi and explained the situation of Balveer Singh to him. He suggested Rajender Negi that appropriate financial aid will be provided only after going through the reports and for the reports Balveer Singh must take Sangita to AIIMS, Rishikesh. Balveer Singh thanked Soochna Seva team for the guidance and information. He will stay in touch with Chamba team for future follow up of the information service provided.